Nanchane peeta means Ragi flour in Konkani. 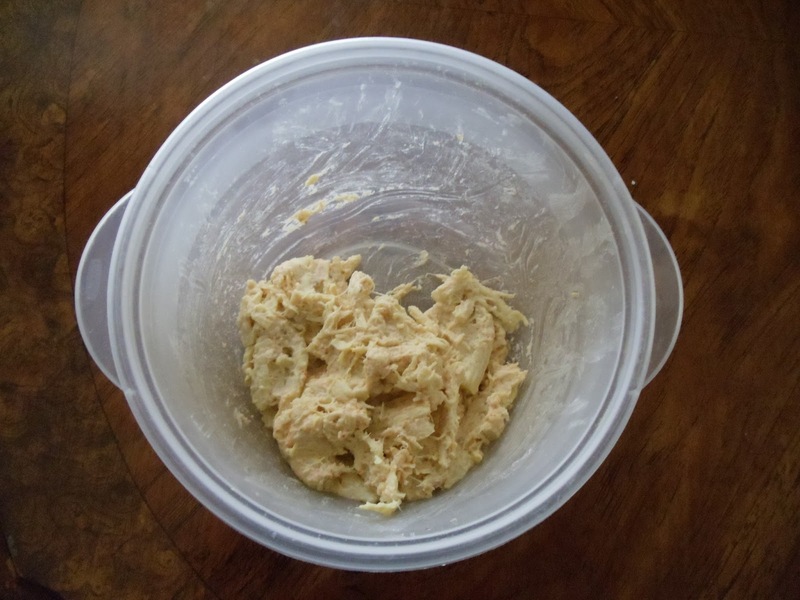 This is one more quick breakfast recipe. This dosa can also be served for dinner. Ragi/Finger millet has more calcium, iron and fiber when compared to wheat, brown rice and maize. Even it has a less fat content in it.You can know more about ragi here. So if anyone is planning for a low Carbohydrate recipe for dinner, then this is one such recipe. I got this recipe from a very good friend. 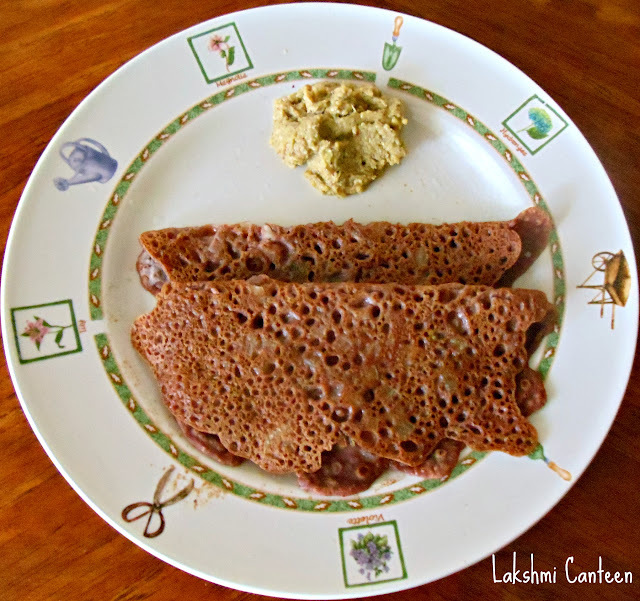 This recipe also includes yogurt/curd and hence this dosa is very rich in calcium. First Chop the onion, green chilli and cilantro very finely and put them in a mixing bowl. 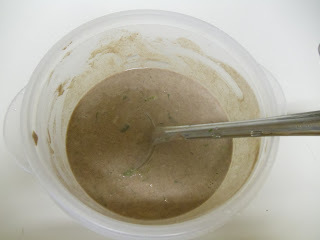 To this add ragi flour, rice flour, curd and salt. Mix it well so that there are no lumps in it. Add water if required. 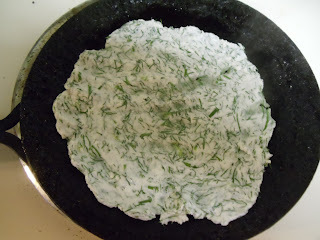 Consistency of the batter should be such that its thinner than normal dosa batter. 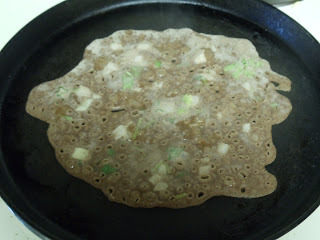 Once the dosa pan is ready, pour one ladel of the batter on the pan ( Since the batter is little thin and has chopped onions in it, its difficult to spread the dosa batter in circular motion unlike other dosas. Hence just spread it as you do a neeru dosa or rava dosa). Add little oil (optional). Close it with a lid for a minute. 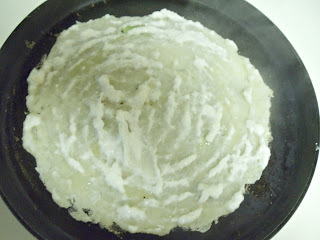 Then flip the dosa to fry the other side. 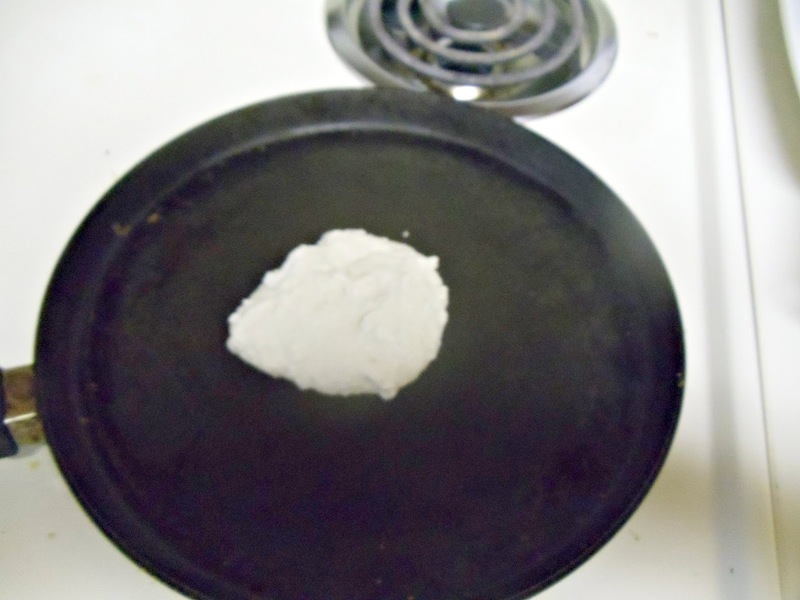 Each side of the dosa might take two minutes. Fry until it gets a light brown color on both sides of the dosa. Nanchane Pitta Polo is ready! Serve it hot with any chutney of your choice. I served it with Gosale Shire Chutney .Above measurement is for serving 2-3 people. 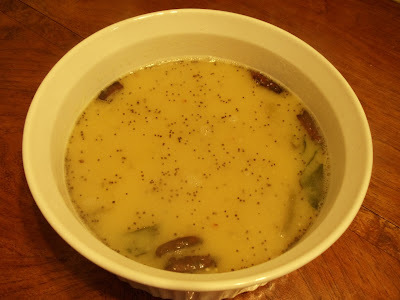 This dal is very popular among the konkanis. I just love this. It is prepared for almost every function and is the simplest dal ever! I am sure most of them will like this. Cook dal along with turmeric in a cooker (2-3 whistles should be fine and the water level should be much greater than dal in the cooker). After it gets cooled, transfer the dal in another container. Add water if it is essential. The consistency should be such that it shouldn’t be too thick or thin (Then it depends on how you would like to have it). 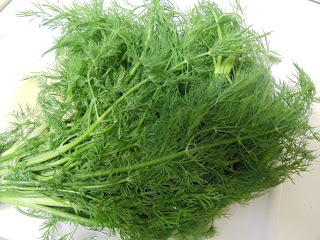 Now add green chillies which are cut length wise, asafoetida and salt. Bring it to a boil and let it continue to boil for 5-6 minutes. Then turn off the flame. For seasoning heat oil and then add mustard seeds. Once it starts spluttering, add broken red chillies and curry leaves. Fry them for few seconds and add to the dal and mix well. Dalitoy is ready to serve. This dal goes well with rice. Above measurement is for serving four people. 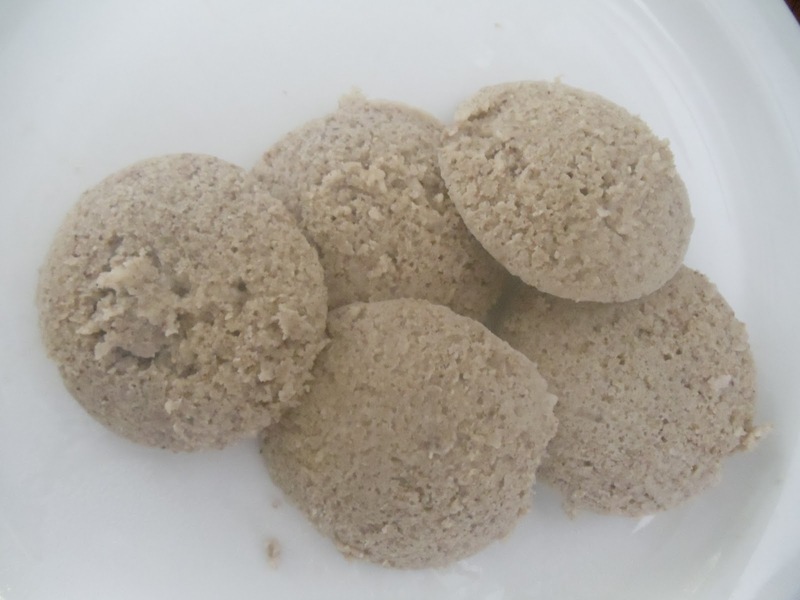 Note: If you don’t like the flavor of asafoetida, then you can substitute it with ginger (1Inch). Add chopped ginger along with green chillies . This is another version of dalitoy. Generally the second version is followed in temples. This is because they are not supposed to add asafoetida to naivedyam. Both versions are equally delicious. Rulao means Sooji/ Semolina in Konkani. 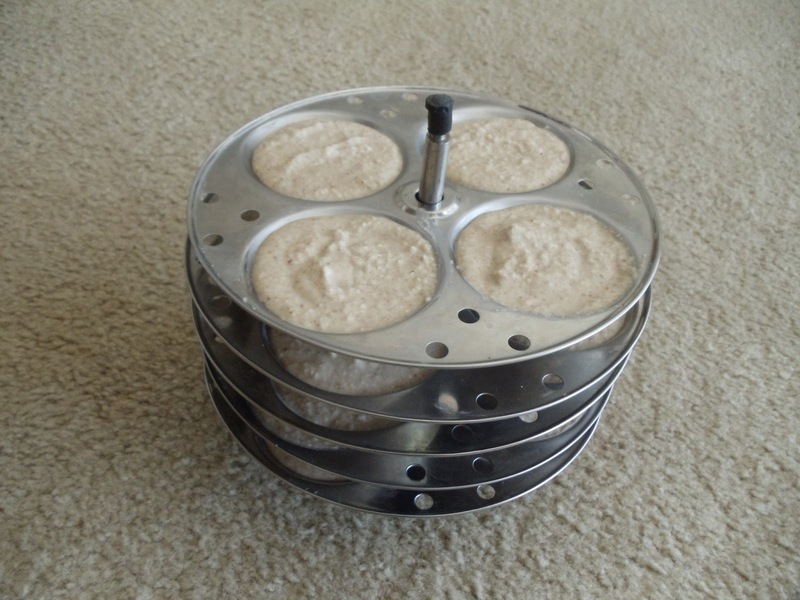 This Bhakri is very simple and Quick. 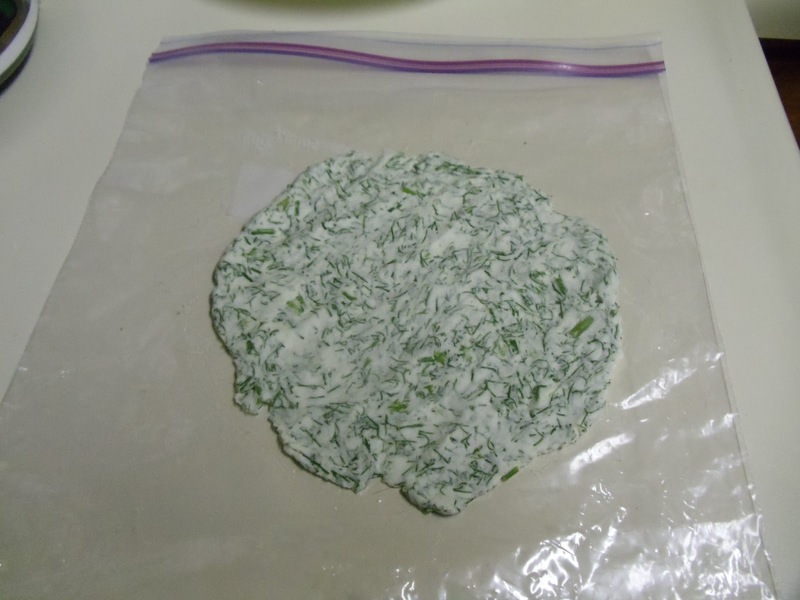 It takes only 15 minutes to prepare the batter. 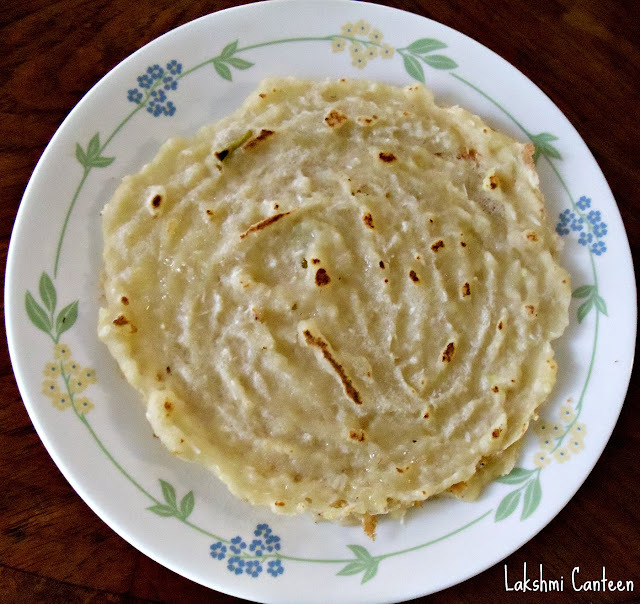 This bhakri comes to your rescue if you want to prepare a breakfast very quickly. Chop the green chillies and grate the ginger. Keep it aside. 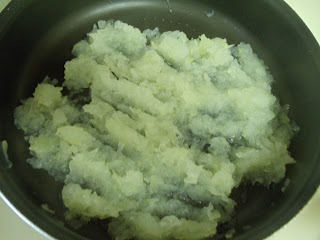 Now mix sooji, chopped green chilllies, grated ginger, grated coconut, jaggery and salt. Add water little by little. 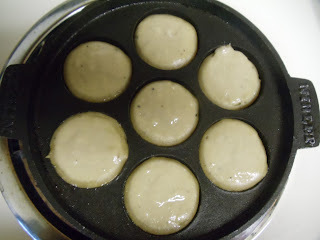 Consistency of the batter should not be too watery. The batter has to be kept for 10 minutes. In that 10 minutes, the sooji will absorb the water content. After 10 minutes, if it becomes too thick, then you can add little water (the final consistency should be thicker than the urad dal dosa batter). 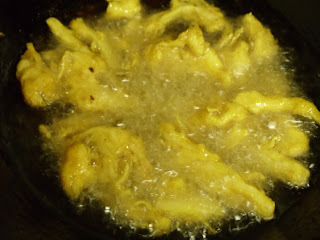 Add oil while frying(optional). After 1-2 minutes flip the dosa to fry the other side. This might take 1-2 more minutes. Rulao Bhakri is ready. Serve it hot with butter on top. You can also serve it with any curry or chutney of your choice. Above measurement is for serving two people. Note: You can also try making slight variations to the bhakris by adding onions and coriander leaves. 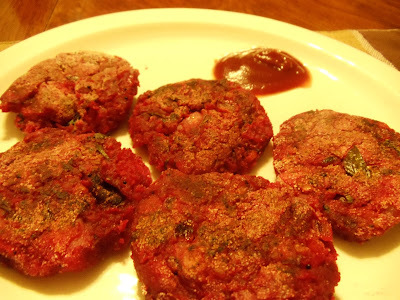 Whenever I see beetroots in the market the first thing which comes to my mind are these yummy cutlets.I learnt making these cutlets from Amma.Whenever we get beetroots, I make these cutlets because my husband is a big fan of them. Beetroot is a very rich source of nutrients. Its juice helps in reducing the blood pressure. 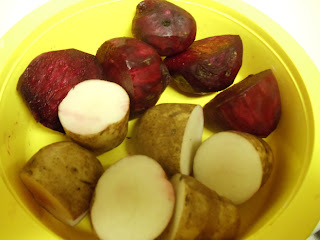 First wash the beetroots and potatoes thoroughly and remove the peel (i removed the peel of potatoes after cooking them). Cut them into halves. 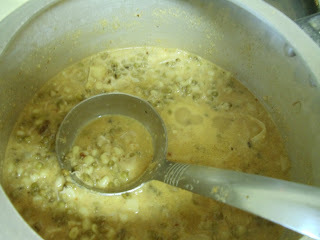 Now cook it in a pressure cooker with sufficient water and salt to taste (two whistles should be sufficient). Now chop the onion and keep aside. Take a small pan and add 1 Tbsp of oil. When it gets heated, add mustard seeds. Once it starts spluttering add curry leaves, urad dal and chana dal. 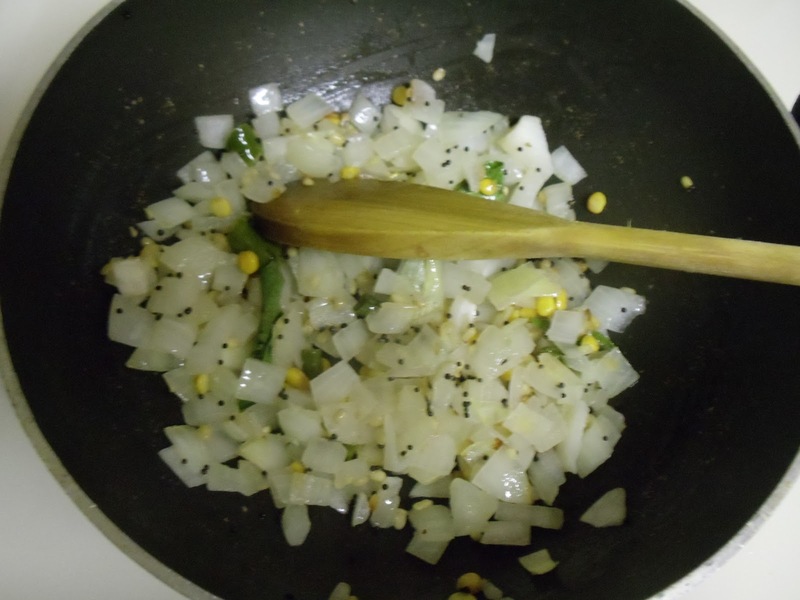 Fry for few seconds and then add chopped onions and chopped green chillies. Fry it until the onions turn slight brown in color. Once it starts turning brown add little salt, red chilli powder and chopped coriander leaves. Turn off the heat. Let it cool. 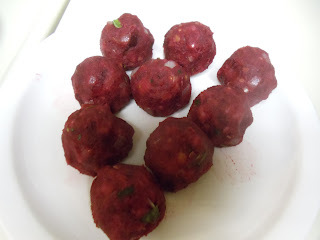 (You can increase the amount of red chilli powder to make it more spicy). Now grate the cooked beetroots. Now make small balls from the mixture. 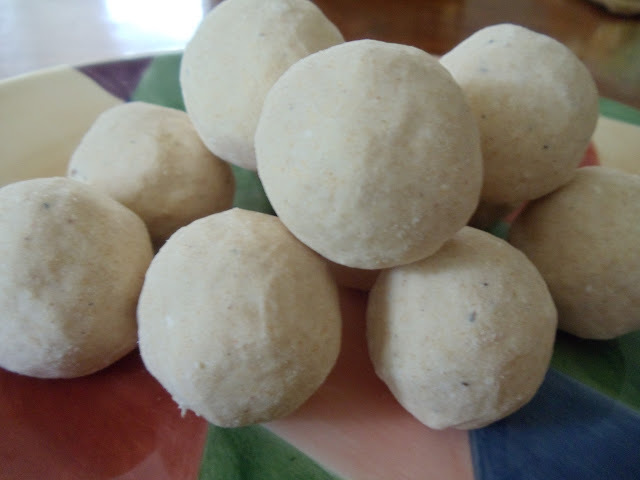 Roll these balls one by one in semolina and then flatten them into small discs and fry them on a tava. Add oil while frying. Fry it until each side turns brown. 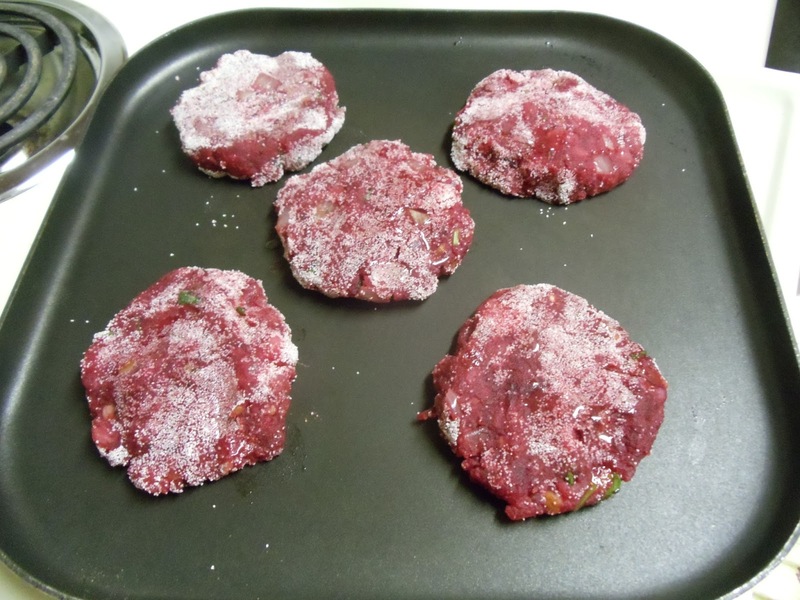 Beetroot Cutlet is ready. Serve hot with Tomato sauce or Chutney. Above measurement serves 3-4 people. Cashewnut, Raisins- 1 Tbsp each. 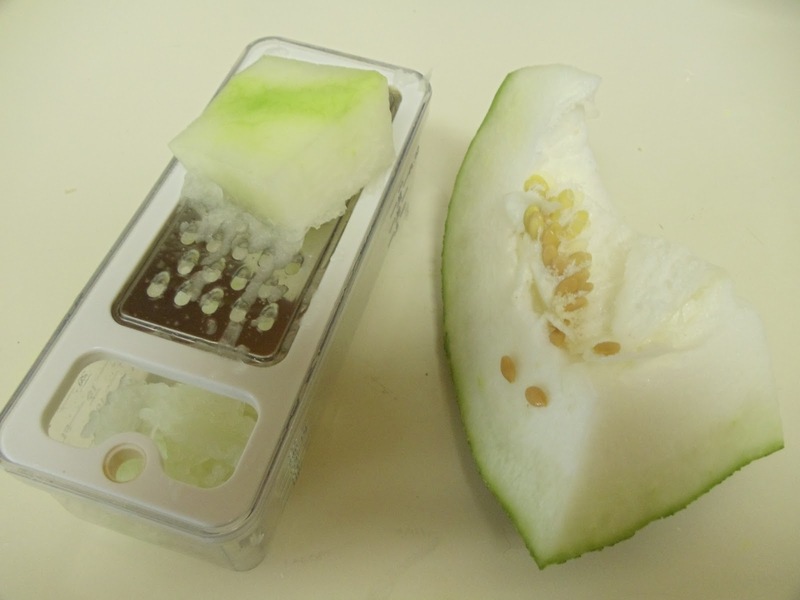 Remove the seeds and peel of the Ash gourd and grate it. Now cook the grated ash gourd in a pressure cooker without adding water (two whistles) and then transfer to a pan along with water (I discarded the excess water to save time). Continue heating it, until all the water evaporates. Then add 2 Tbsp of ghee and saffron/food color. Keep stirring this mixture for five minutes. Now it starts forming into a mass. 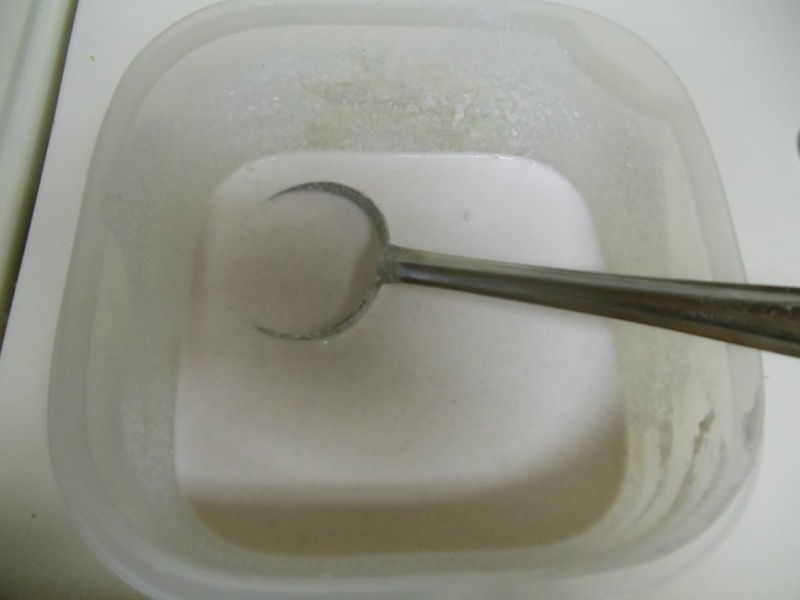 Now add sugar (Again it leaves water). Keep stirring until it turns into a single mass. 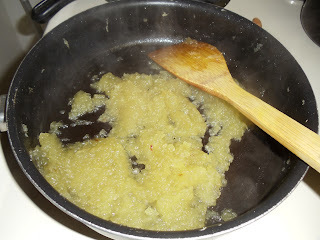 Now add the remaining ghee (save little amount of ghee to fry the nuts) and mix well. Keep Stirring for five more minutes. Add fried cashews, raisins. Turn off the heat. Now add the cardamom powder and mix well. Kashi Halwa is ready!! Above measurement serves two people. 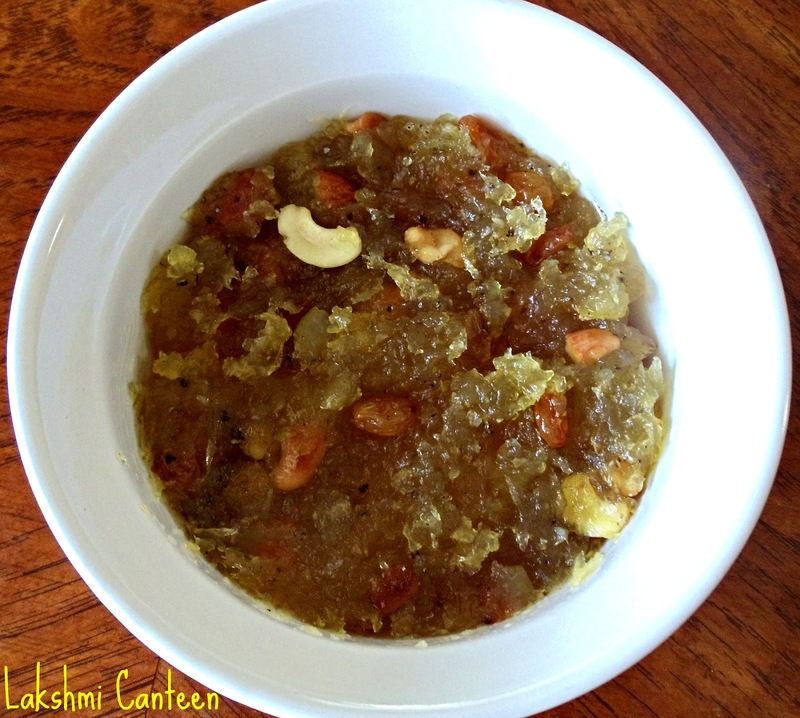 You can also try making this halwa by adding jaggery instead of sugar. Try it and enjoy!! Soak Horsegram and Urad dal for 5-6 hrs. Soak the Rice rava for 2 hrs. 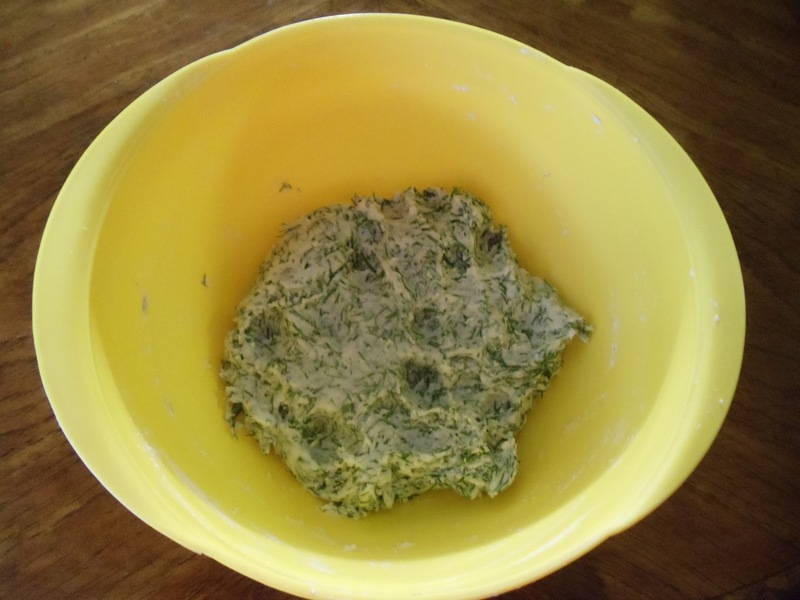 Now grind the soaked horsegram and urad dal until it becomes a fine paste. Add sufficient water while grinding. Don't make the paste too watery. Now drain the water of the rice rava. 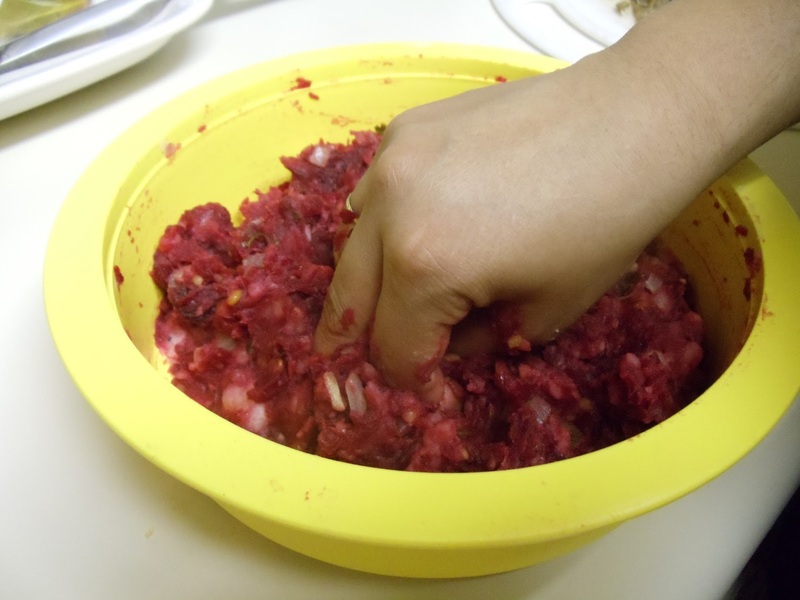 Add the horsegram- urad dal paste to the rice rava and mix well. Add water if required (consistency should be such that it should be little thicker when compared to dosa batter). Keep overnight for fermentation (My amma doesn't ferment the batter. She just keeps the mixture for 4 hrs after grinding but I tried this way. I couldn't make out a major difference). 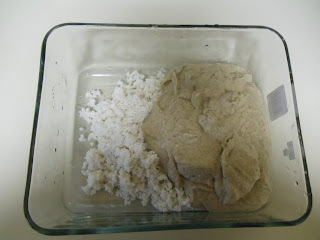 Add salt to the fermented batter. Apply oil to the idli moulds and pour the batter in the moulds. Steam for 15 minutes. Kultha idlis are ready. Serve it with chutney , sambhar or any curry of your choice. Above measrement serves 3-4 people. Kuvale means Ash gourd in Konkani. Sasam means mustard seeds. This dish is prepared by cooking ash gourd in a coconut based masala and the masala contains mustard seeds. Hence it is called Kuvale Sasam. This dish has a very distinct taste and also ash gourd has many medicinal values. Many people also drink juice of ash gourd which helps in weight loss.You can know more about Ash gourd here. 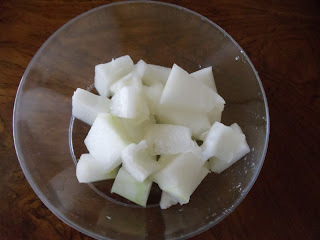 Remove the peel of Ash gourd and cut into small pieces. 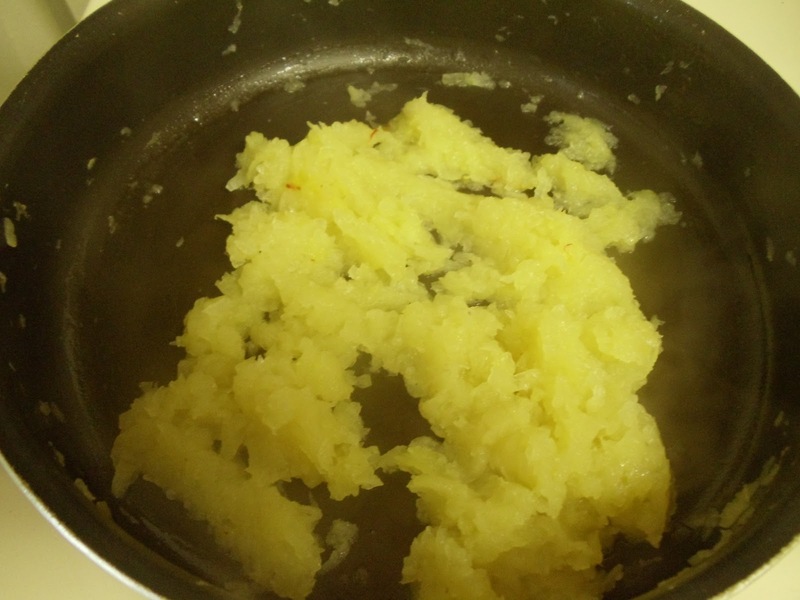 Cook it in a cooker with sufficient water and salt in it (I took 2-3 whistles). Let it cool. Meanwhile prepare the masala. 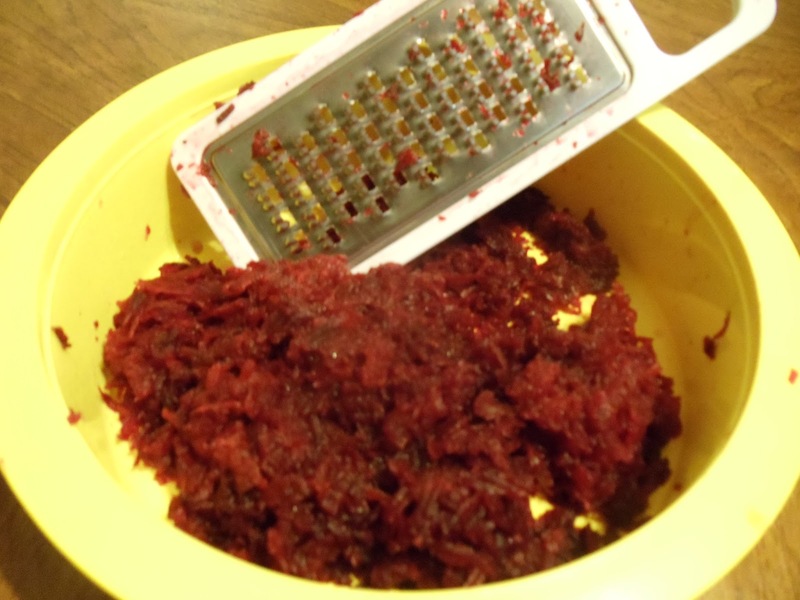 Grind the grated coconut, roasted red chillies, tamarind along with 1 tsp of mustard till it becomes a smooth paste. Mustard seeds gives it a different flavor. Add little water as required. Don’t make it too watery. Now the masala is ready. Just add this masala to the cooked ash gourd and bring it to a boil. 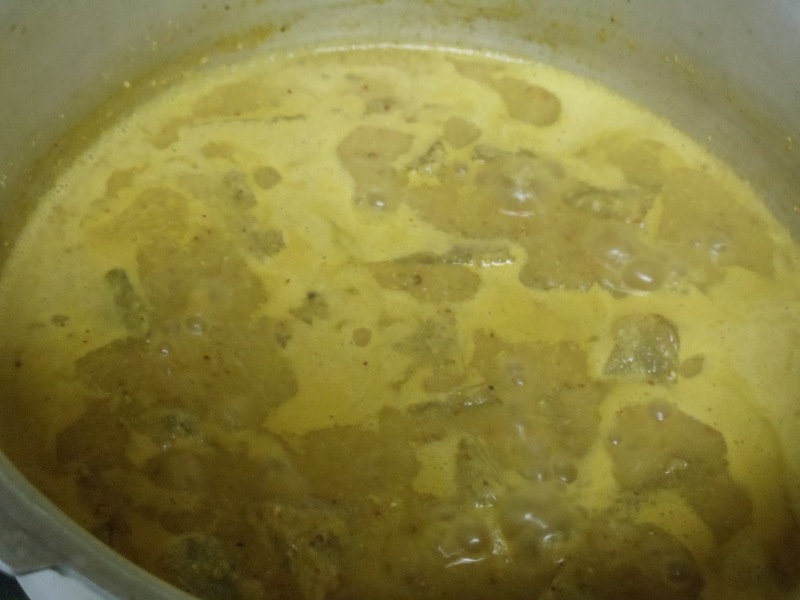 Let it cook until the rawness of the masala goes (5 minutes would be enough after it comes to a boil).The consistency of the curry should be such that it’s not too thick or too watery. Turn off the heat. For the seasoning, heat oil. Then add 1 tsp of mustard seeds. After it starts spluttering, add curry leaves and turn off the heat. Add this to the curry and mix well. Kuvale Sasam is ready! This goes well with white rice.You can also have it with rotis. Above measurement is for serving three people. This is a mild dish. If you want it spicier then you can increase the number of red chillies according to your requirement. 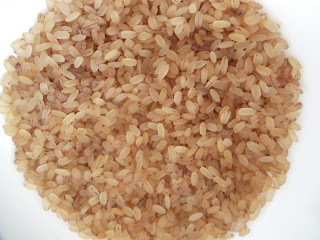 Tandulu means Raw rice in Konkani. 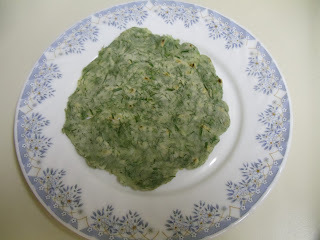 I made this bhakri using a special variety of rice called boiled rice which is common in South India. Boiled rice takes pretty longer time to cook than white rice. It is brownish in color. Using this rice we also make Undi, rice noodles, idlis. 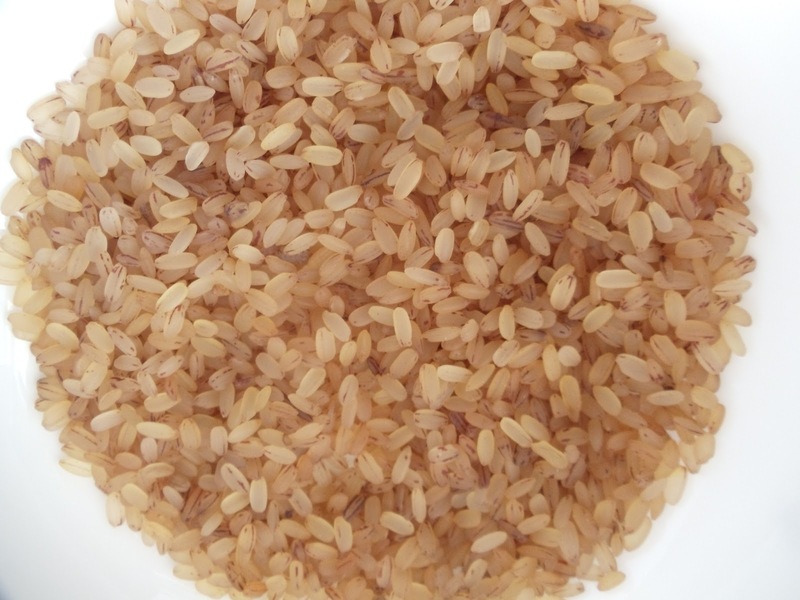 Soak both white rice as well as boiled rice for a minimum of six hours. 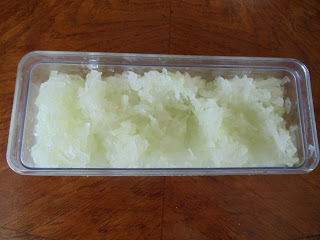 Then grind the rice along with grated coconut and salt. Add sufficient water. Since we have used boiled rice, it will take more time to make a fine paste when compared to white rice (don't worry if there are few small coarse pieces of boiled rice). 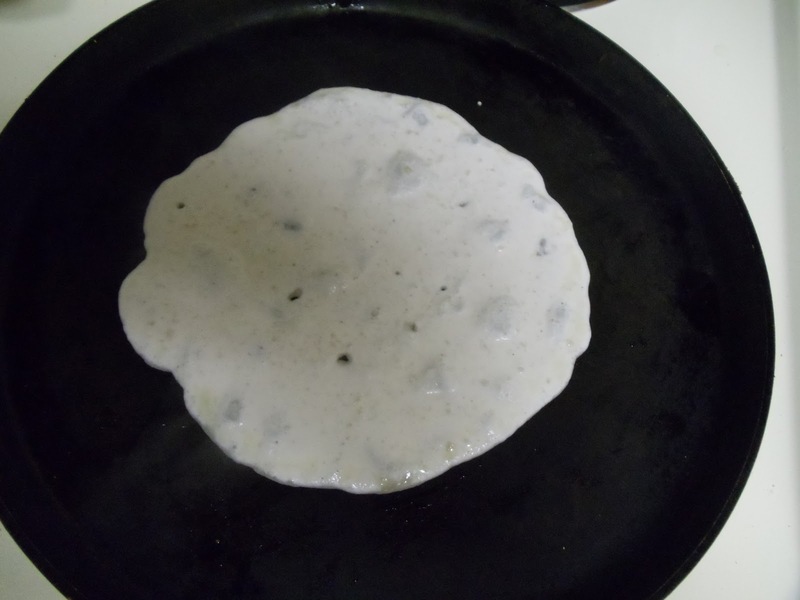 The consistency of the batter is similar to other dosas (not too watery, not too thick). Serve it with any curry or pickle of your choice. Above measurement is for serving two people. Kyane means banana in Konkani. 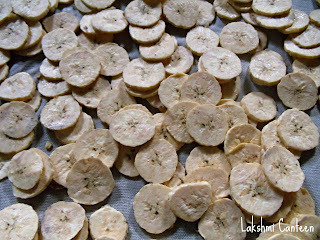 These chips are prepared from a special variety of banana called Nendrabale. 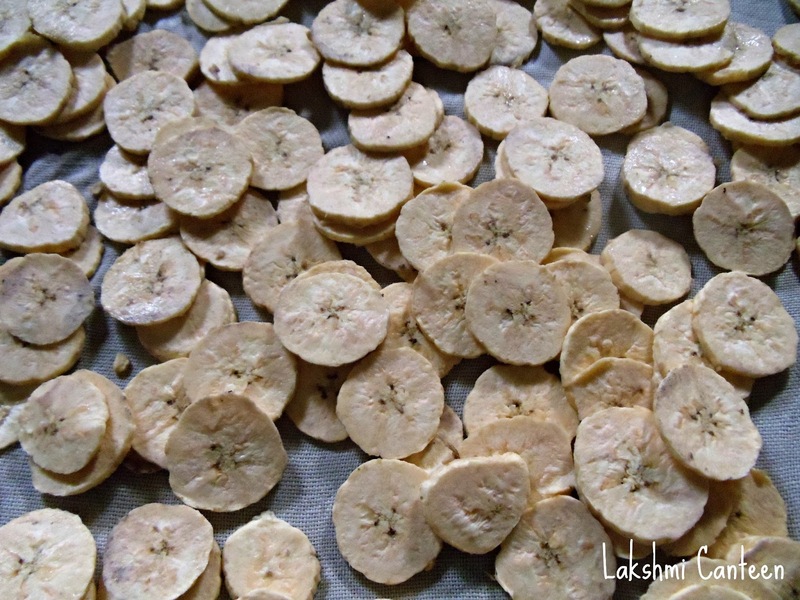 These chips are very common in Kerala as well as coastal Karnataka.Usually they are fried in coconut oil. Chips are made from fully grown, unripe bananas. Mix salt, water and keep aside.Remove the peel of plantain carefully, using a knife. 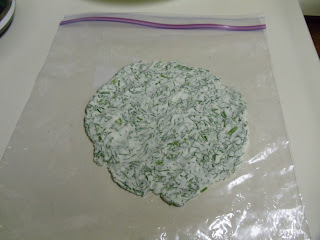 Then cut into thin circular pieces using a knife or a slicer. Now deep fry these pieces in small batches and see that the pieces are well separated in oil. After putting in oil, the color of banana pieces start changing and slowly they become crispier. When the bubbles completely vanish, then this is the time to add salt water. 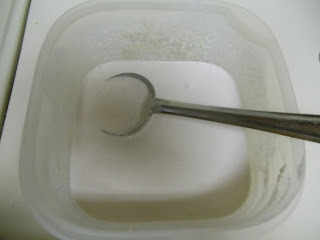 Add nearly 1/2 tsp of the salt water to each batch. (As soon as the salt water is added, there are chances of oil spluttering, leading to skin burns. So care should be taken regarding that). Mix for a while. As soon as the bubble reduces, remove the chips and put it on a paper towel to drain excess oil. Banana chips is ready!! 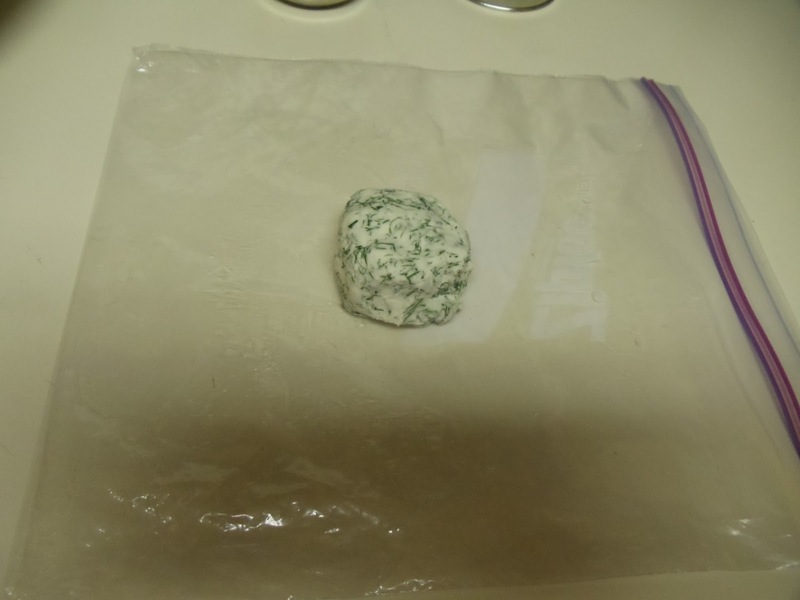 Store it in an air tight container. 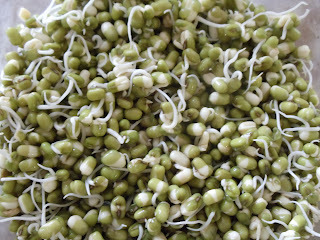 Moogu in Konkani means Green gram. 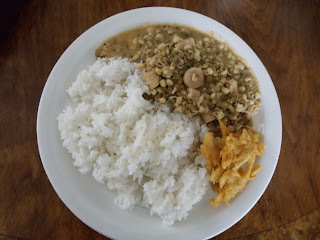 Mooga gashi is a coconut based Sprouted green gram curry. Along with the sprouts we can add Tender jackfruit/ Bamboo shoots/ Suran (yam)/ Potatoes. I have used Bamboo shoots. 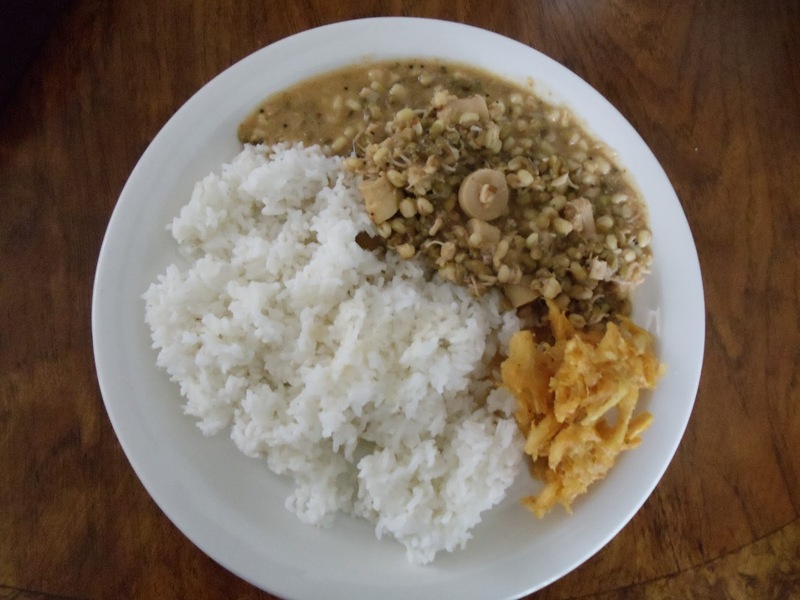 Mooga gashi is a protein rich curry. 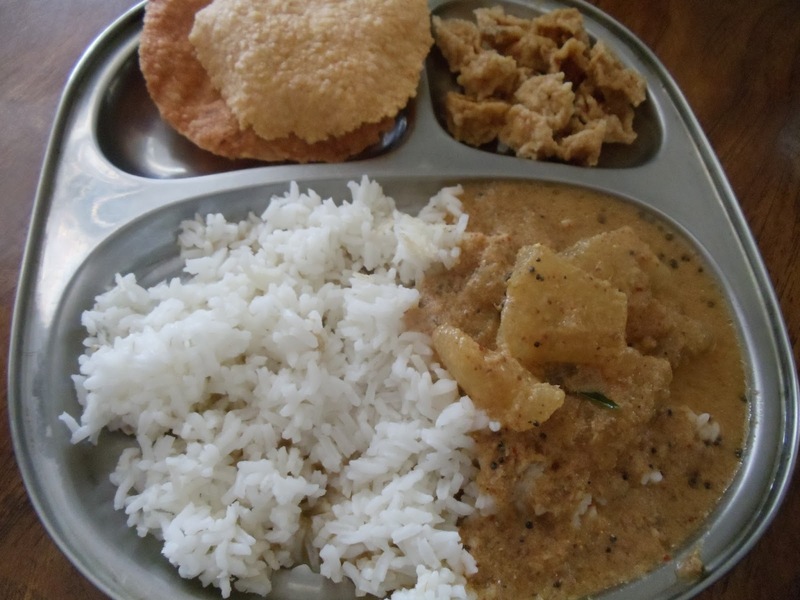 This curry is common for special occasions in temples of Udupi and Mangalore. Soak the green gram overnight. 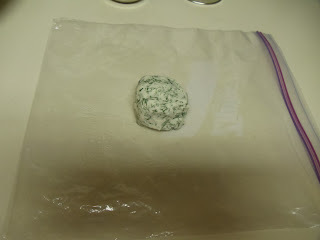 Then put these soaked green gram in a muslin cloth. Tie it tightly and keep in a warmer place for another day. 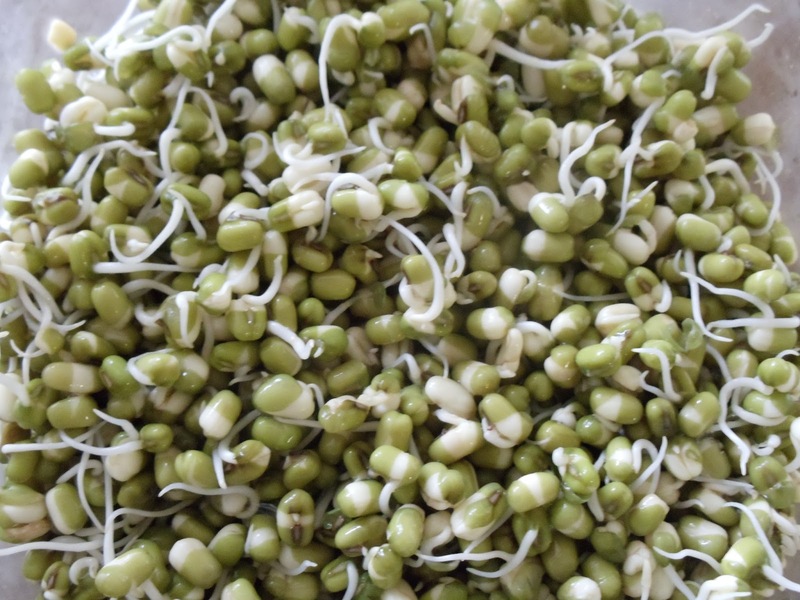 Green gram sprouts are ready. Cut the bamboo shoots into small pieces.Take the green gram sprouts and bamboo shoots in a cooker with sufficient water. Add salt to it. Then cook it without weight for 15 minutes.For the masala- grind coconut, red chilli and tamarind. Make a smooth paste by adding required amount of water.Then add this masala to the cooked sprouts and bring it to a boil. Continue cooking further for 5-7 minutes so that the rawness of the masala goes off. Turn off the heat. Now for the seasoning- Heat oil and then add mustard seeds. Once it starts spluttering, add fenugreek/methi seeds and fry for a minute. Then add curry leaves. Turn off the heat and add this to the curry and mix well. Mooga gashi is ready. It goes well with Rice,Chapathi, idli. Above measurement is for serving three people. 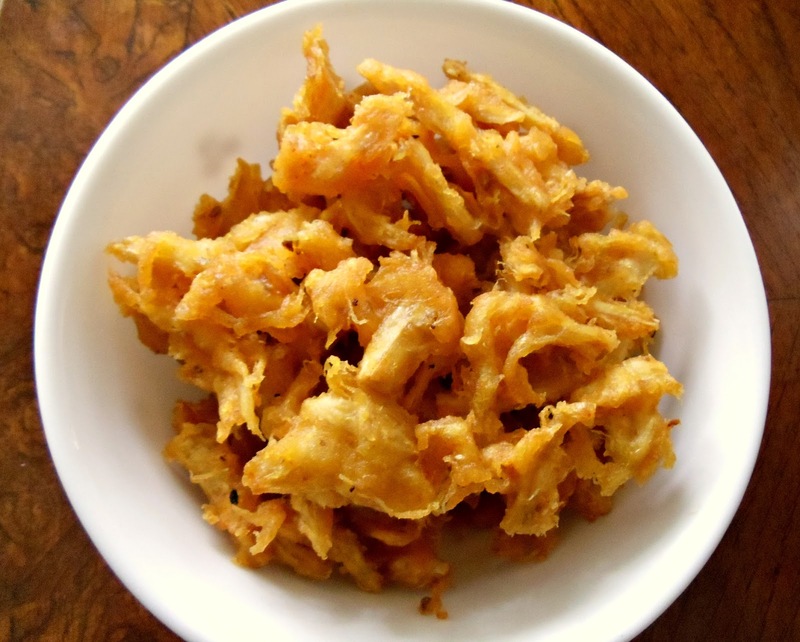 Keerlu in Konkani means Bamboo shoots. 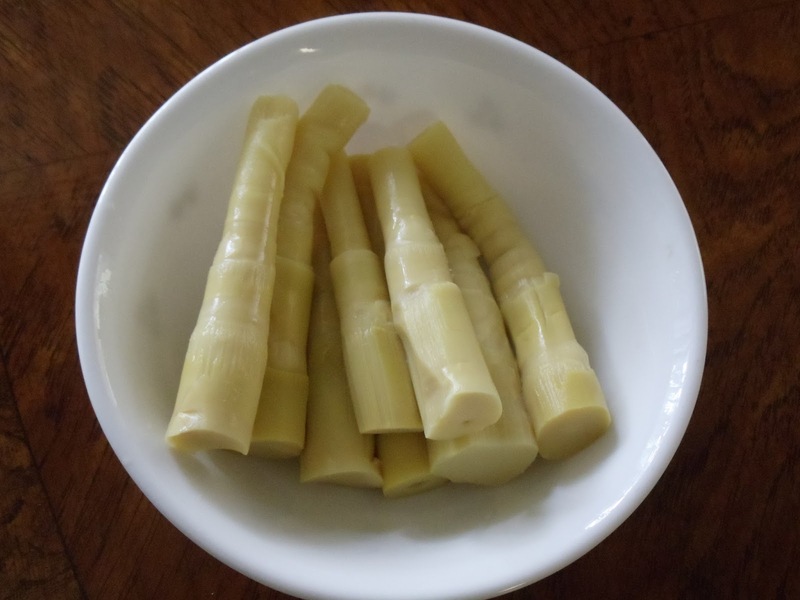 Bamboo shoots are commonly used in many Asian countries like India, Indonesia, China, Japan etc. 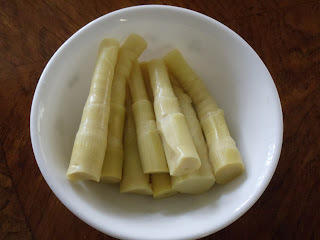 On the onset of Monsoon, I remember my aanu(father) getting fresh bamboo shoots from the market (in Udupi). Amma used to remove the outer peel (not eatable) and then preserve it in salt so that it can be used throughout the year. Keerla sukke made from fresh bamboo shoots feels like heaven.I just love it.If the bamboo shoots are used fresh then it has to be soaked in water for three days (everyday the water needs to be changed) in order to remove the bitterness.In Konkani cuisine it is used to make many dishes like dosa, fritters, pickle etc. Also it reminds me of one of my post-Mooga gashi, which you can find it here. 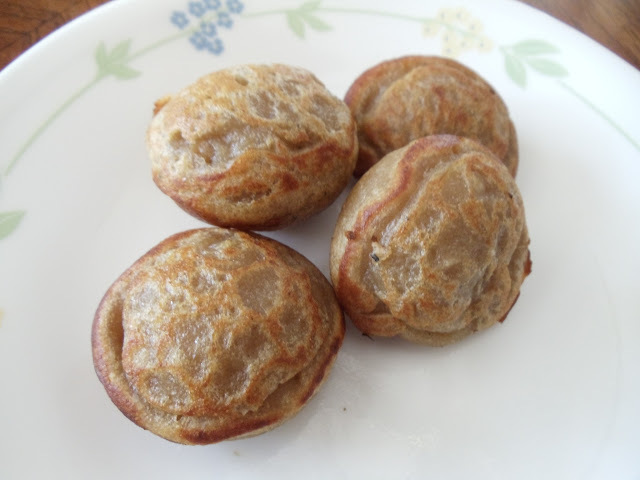 For making keerla podi, I used canned bamboo shoots.After eating these fritters, many will be surprised to know that it has bamboo shoots:-) These fritters are easy to make and trust me its very tasty and addictive!! Wash the bamboo shoots thoroughly. Then crush them using a hard object as shown in the picture. Now take the crushed bamboo shoots in a bowl. To this add rice flour, red chilli powder, coriander powder (i made it fresh) and salt. 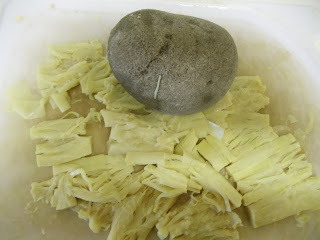 (those who are using the bamboo shoots preserved in salt- soak the crushed shoots in water to remove excess salt). Mix well. Don't add water (the shoots will have enough moisture in it). Now deep fry the above mixture (make small balls out of it or just in random shapes) on a medium flame, until it turns crispy.